ACIT Vs. Ge India Industrial (P.) Ltd.
M. R. Shah And Ms. Sonia Gokani, JJ. M. R. Shah, J. – Rule. Mrs. Swati Soparkar, learned advocate waives service of notice of rule on behalf of the respondent. In the facts and circumstances of the case and with the consent of learned counsel appearing on behalf of the respective parties, the present petition is taken up for final hearing today. 1.1 By way of this petition under article 226 of the Constitution of India, the petitioner-Revenue has questioned the impugned order passed by the Income-tax Appellate Tribunal dated January 4, 2013, by which on a stay application preferred by the assessee-appellant in quantum appeal against the order passed by the Commissioner of Income-tax (Appeals), the Income-tax Appellate Tribunal has granted stay of further proceedings of the penalty proceedings under section 271(1)(c) of the Income-tax Act, 1961 (hereinafter referred to as “the IT Act”) initiated pursuant to the order passed by the Commissioner of Income-tax (Appeals) against which the assessee has preferred the quantum appeal. 2.1 That the respondent-assessee filed the return of the income before the Assessing Officer for the assessment year 2004-05. That the Assessing Officer completed the assessment and passed an assessment order under section 143(3) of the Income-tax Act by order dated December 29, 2006. Feeling aggrieved and dissatisfied with the assessment order, the assessee preferred appeal before the Commissioner of Income-tax (Appeals) and by order dated July 17, 2012, the Commissioner of Income-tax (Appeals) partly allowed the appeal of the assessee and directed the Assessing Officer to make transfer pricing adjustment on account of the arm’s length price at Rs. 7,62,29,166 for the assessment year 2004-05 and held that in the result, there will be enhancement of transfer pricing adjustment of Rs. 5,50,73,555. By passing the said order the Commissioner of Income-tax (Appeals) also observed and directed that since the assessee has filed inaccurate particulars of income by adopting wrong and incorrect method in respect of the transfer pricing adjustment with regard to international transactions entered into with the associated enterprise in view of the reasons recorded in the said order and, consequently, directed to initiate penalty proceedings under section 271(1)(c) of the Income-tax Act on the aforesaid enhanced income of Rs. 5,50,73,555 for filing of inaccurate particulars of income. Feeling aggrieved and dissatisfied with the order passed by the Commissioner of Income-tax (Appeals), the assessee has preferred quantum appeal before the Income-tax Appellate Tribunal. 2.2 As in the meantime and pursuant to the direction issued by the Commissioner of Income-tax (Appeals) in its order dated July 17, 2012, directing to initiate the penalty proceedings under section 271(1)(c) of the Income-tax Act on the aforesaid amount of Rs. 5,50,73,555, the Commissioner was to initiate penalty proceedings and, therefore, the assessee initially submitted the application before the Commissioner requesting not to proceed further with the penalty proceedings and/or to keep the penalty proceedings in abeyance till their quantum appeal is decided by the Income-tax Appellate Tribunal. On the said application, there was no further order passed by the Commissioner and as the assessee was apprehending that the Commissioner would proceed further with the penalty proceedings, in quantum appeal preferred against the order of the Commissioner of Income-tax (Appeals) dated July 17, 2012, the assessee-original appellant submitted the stay application before the Income-tax Appellate Tribunal requesting to grant stay of further proceedings of the penalty proceedings till its quantum appeal against the decision of the Commissioner of Income-tax (Appeals) is finally decided and disposed of. By the impugned order and observing that the penalty proceedings have been initiated by the Commissioner pursuant to the enhancement of income made by Commissioner of Income-tax (Appeals) by its order dated July 17, 2012, against which the appeal has been preferred by the assessee before the Income-tax Appellate Tribunal, which is in fact the first appeal of the assessee against the enhancement of income by the Commissioner of Income-tax (Appeals) and by observing that as per the provisions of section 275(1)(a) of the Income-tax Act, the Commissioner will get further six months time to dispose of the penalty proceedings from the end of the month in which the order of the Tribunal is received by the Commissioner/ Chief Commissioner and observing that during the quantum appeal if the Commissioner is allowed to proceed with the penalty proceedings, prejudice will be caused to the assessee as it will have to face multiplicity of proceedings and relying upon the decision of the Supreme Court in the case of ITO v. M. K. Mohammed Kunhi  71 ITR 815, the Income-tax Appellate Tribunal has allowed the stay application submitted by the assessee and has directed the Commissioner to keep the penalty proceedings in abeyance till disposal of quantum appeal before the Income-tax Appellate Tribunal. Feeling aggrieved and dissatisfied with the impugned order dated January 4, 2013, passed by the Income-tax Appellate Tribunal in stay application in the quantum appeal preferred by the petitioner and directing to keep the penalty proceedings in abeyance till the disposal of quantum appeal, the petitioner-Revenue has preferred the present special civil application raising the question of law. 3. Shri K. M. Parikh, learned counsel appearing on behalf of the petitioner-Revenue, has vehemently submitted that in a quantum appeal under section 254 of the Income-tax Act, the Appellate Tribunal/Income-tax Appellate Tribunal has no power to stay the penalty proceedings pending appeal filed by the assessee, more particularly, when the penalty proceedings are not the subject-matter of appeal before it. 3.1 It is submitted that as such the penalty proceedings are independent proceedings and the same has nothing to do with the quantum appeal. It is submitted that while deciding the penalty proceedings, different parameters are required to be considered, more particularly, on the grounds mentioned in section 271(1)(c) of the Income-tax Act. 3.2 Shri Parikh, learned counsel appearing on behalf of the petitioner-Revenue, has vehemently submitted that the Income-tax Appellate Tribunal is the creature of a statute and is bound to act as per the provisions of the Act/statute and cannot exercise the powers not vested in it. It is submitted that the Income-tax Appellate Tribunal is required to exercise powers as mentioned in section 254 of the Income-tax Act only and has no jurisdiction to exercise the powers beyond what is provided under section 254 of the Income-tax Act as, neither there are express or even implied powers to stay the penalty proceedings under section 254 of the Act more particularly when the penalty proceedings are not under challenge before it and the appeal before it is only a quantum appeal preferred by the assessee. 3.3 It is further submitted by Shri Parikh, learned counsel for the Revenue, that once the Income-tax Appellate Tribunal lacks jurisdiction to stay the penalty proceedings, there shall not be any further requirement of prima facie case, balance of convenience, etc., to be considered while considering the stay application. 3.4 It is further submitted by Shri Parikh, learned counsel appearing on behalf of the petitioner-Revenue, that while passing the impugned order of stay of penalty proceedings, the Income-tax Appellate Tribunal has misinterpreted section 275(1)(a) of the Income-tax Act. It is submitted that from the plain reading of section 275(1)(a) of the Income-tax Act, it becomes crystal clear that the time-limit is given for imposition of the penalty under Chapter XXI and the penalty can be levied by the concerned authorities within such time-limit. But in no-way the Assessing Officer/ Commissioner or the Chief Commissioner can be restrained from imposing the penalty under section 271(1)(c) of the Income-tax Act till relevant assessment or other order is a subject-matter of appeal before the Commissioner of Income-tax (Appeals). It is submitted that thus section 275(1)(a) of the Income-tax Act has laid down bar of limitation for imposing the penalties, i.e., no order imposing the penalty shall be passed in a case where the relevant assessment or the other order is a subject-matter of appeal before the Commissioner of Income-tax (Appeals) under section 246 or 246A of the Income-tax Act or appeal to the Appellate Tribunal under section 253, after the expiry of the financial year in which the proceedings in the course of which action for imposition of penalty has been initiated, are completed, or six months from the end of the month in which the order of the Commissioner of Income-tax (Appeals) or, as the case may be, the Tribunal is received by the Chief Commissioner or the Commissioner, whichever period expires later. It is submitted by Shri Parikh, learned counsel that thus after the expiry of such period, no order imposing the penalty under section 271(1)(c) of the Income-tax Act shall be passed but the Assessing Officer or the Commissioner (Appeals) or the Commissioner may pass an order imposing a penalty under section 271(1)(c) of the Income-tax Act before the expiry of such period and thus in the meantime the authorities cannot be barred from imposing the penalty under section 271(1)(c) of the Income-tax Act. It is submitted that as such by granting such a stay order, the Revenue shall be prejudiced. Therefore, it is submitted that the impugned stay order passed by the Income-tax Appellate Tribunal is wholly without jurisdiction and authority under the law and beyond the powers conferred by the statute under section 254 of the Income-tax Act, which deserves to be quashed and set aside. 3.5 Shri Parikh, learned counsel appearing on behalf of the petitioner-Revenue, has further submitted that the Income-tax Appellate Tribunal has materially erred in relying upon the decision of the Supreme Court in the case of M. K. Mohammed Kunhi (supra). It is submitted that on the facts the said decision shall not be applicable and the Tribunal has misapplied the said decision. Making above submissions and relying upon the above decision, it is requested to allow the present special civil application. 4. The present petition is opposed by Shri Soparkar, learned counsel appearing on behalf of the respondent-assessee. It is submitted that under section 254 of the Income-tax Act, the Appellate Tribunal can pass such orders as it thinks fit, inclusive of the stay of penalty proceedings. It is submitted that as such the decision in the quantum appeal has a direct bearing on the penalty proceedings and, therefore, during the pendency of quantum appeal, when an application was submitted to stay the penalty proceedings and the same has been granted by the Tribunal, it cannot be said that the Tribunal has committed any error and/or illegality. 4.1 It is further submitted by Shri Soparkar, learned counsel for the assessee, that as observed by the Supreme Court in the case of M.K. Mohammed Kunhi (supra), the Appellate Tribunal has all incidental and ancillary powers by implication. It is submitted that, therefore, as such the controversy raised in the present special civil application is as such squarely covered by the decision of the Supreme Court in the case of M. K. Mohammed Kunhi (supra). 4.2 It is further submitted by Shri Soparkar, learned counsel for the assessee, that as such in the present case the Commissioner of Income-tax (Appeals) has made the enhancement and directed to initiate the penalty proceedings under section 271(1)(c) of the Income-tax Act on the said enhancement and, therefore, as such the quantum appeal preferred by the assessee before the Income-tax Appellate Tribunal would be the first appeal. It is submitted that in case the assessee succeeds in the quantum appeal and the order passed by the Commissioner of Income-tax (Appeals) of enhancement is set aside by the Income-tax Appellate Tribunal by holding that the method adopted by the assessee was just and proper, in that case, there shall not be any further penalty proceedings. 4.3 It is further submitted by Shri Soparkar, learned counsel appearing on behalf of the respondent-assessee, that even considering section 271(1)(iii) of the Income-tax Act the penalty can be levied for a sum which shall not be less than, but which shall not exceed three times, the amount of tax sought to be evaded by a reason of the concealment of particulars of his income or fringe benefits or the furnishing of inaccurate particulars of such income. It is submitted that meaning thereby even imposition of the penalty has a direct bearing on the amount of tax alleged to be evaded. It is submitted that, therefore, the result in the quantum appeal has a direct bearing on even imposition of the penalty and, therefore, also it will be in the fitness of things to stay the penalty proceedings till the quantum appeal is decided and disposed of by the Income-tax Appellate Tribunal. 4.4 It is further submitted by Shri Soparkar, learned counsel appearing on behalf of the assessee, that as such the assessee could have prayed for the stay of the entire order passed by the Commissioner of Income-tax (Appeals) and the Income-tax Appellate Tribunal could have considered the same and on making out a case could have granted the stay of entire order passed by the Commissioner of Income-tax (Appeals). It is submitted that instead of that the assessee prayed for limited stay of the penalty proceedings directing the Commissioner of Income-tax (Appeals) to keep in abeyance the penalty proceedings till the quantum appeal is decided by the Tribunal and considering the decision of the Supreme Court in the case of M. K. Mohammed Kunhi (supra), the Tribunal has rightly allowed the said application directing the Commissioner to keep the penalty proceedings in abeyance. It is submitted that as such by issuing such an interim direction, further multiplicity of proceedings can be avoided. 4.5 It is further submitted by Shri Soparkar, learned counsel appearing on behalf of the assessee, that in such a situation and considering section 275 of the Income-tax Act, which provides that the penalty can be imposed within a period of six months, to protect the interests of the Revenue, there is a further provision made under section 275(1)(a) of the Income-tax Act by which in such a situation of appeal either before the Commissioner of Income-tax (Appeals) and/or the Tribunal, time to impose the penalty has been extended for a further period of six months from the receipt of the order passed by the Commissioner of Income-tax (Appeals) and/or the Tribunal. It is submitted that while making the provision under section 275(1)(a) of the Income-tax Act, the Legislature visualized such a situation and, therefore, a further period of six months from the date of receipt of the order passed by the appellate authority is provided. It is submitted that, therefore, if during the pendency of the quantum appeal, the penalty proceedings are not stayed, which are initiated pursuant to the order, which is under challenge before the Income-tax Appellate Tribunal, in that case, even the object and purpose of section 275(1)(a) of the Income-tax Act would be frustrated. 4.6 Shri Soparkar, learned counsel appearing on behalf of the respondent assessee, has relied upon the following decisions in support of his prayer to dismiss the present petition and in support of his submissions that in exercise of the powers under section 254 of the Income-tax Act, the Income-tax Appellate Tribunal would have jurisdiction and/or powers to grant any ancillary and/or incidental relief so as to see that the proceedings may not become infructuous and to avoid any further multiplicity of proceedings. 6.Unreported decision of the Bombay High Court in the case of CIT v. Wander (P.) Ltd.  358 ITR 408/ 44 taxmann.com 103. Making the above submissions and relying upon the above decisions, it is requested to dismiss the present special civil application. 5. Heard learned counsel appearing for the respective parties at length. At the outset it is required to be noted that in the present case the respondent has preferred an appeal before the Income-tax Appellate Tribunal against the order passed by the Commissioner of Income-tax (Appeals) by which the Commissioner of Income-tax (Appeals) has quashed and set aside the order of assessment passed by the Assessing Officer and has passed an order to enhance the assessment by an amount of Rs. 5,50,73,555, by observing that the Transfer Pricing Officer, Ahmedabad, has followed the correct method in his order under section 92CA(3) for the assessment year 2005-06 by computing the raw material adjustment by comparing the raw material adjustment to operating cost ratio of the tested party vis-a-vis the raw material to operating cost ratio of each of the comparable company and, accordingly, by making adjustment to the raw material expenses of the comparable expenses. Simultaneously, the Commissioner of Income-tax (Appeals) also passed an order for initiation of penalty proceedings under section 271(1)(c) of the Income-tax Act on the ground that the assessee has filed inaccurate particulars of income by adopting wrong and incorrect method in respect of transfer pricing adjustment with regard to the international transactions entered into with the associated enterprise and the said penalty proceedings are initiated on the enhanced income of Rs. 5,50,73,555. Thus, as such the appeal before the Income-tax Appellate Tribunal can be said to be the first appeal. During the said appeal, as the Commissioner was initiating the penalty proceedings in the light of the order passed by the Commissioner of Income-tax (Appeals), which is under challenge before the Income-tax Appellate Tribunal, the assessee-original appellant submitted the stay application requesting to stay further proceedings of penalty proceedings during the pendency of the appeal before the Income-tax Appellate Tribunal. By the impugned order the Income-tax Appellate Tribunal has allowed the stay application by directing to stay the penalty proceedings till the decision in appeal before it. Being aggrieved and dissatisfied with the impugned stay order, the Revenue has preferred the present special civil application submitting that in exercise of the powers under section 254 of the Income-tax Act, the Income-tax Appellate Tribunal has no such powers to stay the penalty proceedings during the pendency of the quantum appeal. 5.1 As per section 271(1)(iii), in cases referred to in clause (c) of sub-section (1) of section 271, the Assessing Officer or the Commissioner (Appeals) may impose the penalty in addition to the tax, if any, payable by the assessee, a sum which shall not be less than, but which shall not exceed three times the amount of tax sought to be evaded by a reason of the concealment particulars of his income or the furnishing of inaccurate particulars of such income. Thus, as such the amount of tax evaded by a reason of the concealment or on furnishing inaccurate particulars of such income has a direct bearing in imposing the penalty under section 271(1)(c) of the Income-tax Act. In the present case as such the alleged inaccurate particulars of income for which the penalty proceedings under section 271(1)(c) of the Income-tax Act are initiated is for an amount of Rs.5,50,73,555 and the said order is under challenge before the Income-tax Appellate Tribunal. Under the circumstances, the outcome of the decision in appeal by the Income-tax Appellate Tribunal has a direct bearing on the penalty proceedings. Under the circumstances and with a view of see that the appeal before the Income-tax Appellate Tribunal does not become infructuous and/or to avoid any further multiplicity of proceedings, when the Income-tax Appellate Tribunal has passed an order to stay the penalty proceedings during the appeal before it, as such it cannot be said that the Tribunal has committed any error and/or illegality. At this stage it is required to be noted that in an appeal against the order passed by the Commissioner of Income-tax (Appeals), it was open for the assessee-appellant to submit the stay application requesting to stay the entire order passed by the Commissioner of Income-tax (Appeals). Instead of that, the assessee prayed a limited interim relief staying the penalty proceedings during the pendency of the appeal. After analyzing various decisions of the High Court and the English judgments, finally it is held that the Appellate Tribunal must be held to have power to grant stay as incidental or ancillary to its appellate jurisdiction. It is further held that when section 254 confers appellate jurisdiction, it impliedly grants the power of doing all such acts, or employing such means, as are essentially necessary to its execution and that the statutory power carries with it the duty in proper cases to make such orders for staying proceeding as will prevent the appeal if successful from being rendered nugatory. However, while holding so, the Supreme Court has also observed that the power of stay by the Tribunal is not to be exercised in a routine way or as a matter of course, in view of the special nature of taxation and revenue laws. It will only be when a strong prima facie is made out that the Tribunal will consider whether to stay the recovery proceedings and on what conditions and the stay will be granted in most deserving and appropriate cases where the Tribunal is satisfied that the entire purpose of the appeal will be frustrated or rendered nugatory by allowing the recovery proceedings to continue during the pendency of the appeal. Thus, as such in the aforesaid decision, the Supreme Court has specifically held that while exercising the powers under section 254 of the Income-tax Act, the Tribunal has the implied power of doing such acts, or employing such means, as are essentially necessary to its execution and that the statutory power carries with it the duty in proper cases to make such orders for staying proceeding as will prevent the appeal if successful from being rendered nugatory. In the case of S.B.I. Home Finance Ltd. (supra), the hon’ble court has held that as under section 260A of the Income-tax Act, the High Court is conferred with power to entertain a second appeal, in an appeal against the order passed by the Tribunal confirming the order of assessment under which even the penalty proceedings are initiated under section 271(1)(c), and by exercising the inherent powers of the court under section 151 of the Code of Civil Procedure, 1908, the High Court in exercise of its appellate jurisdiction can stay the penalty proceedings. 5.3 The issue raised in the present special civil application with respect to staying of penalty proceedings by the Income-tax Appellate Tribunal during the pendency of the appeal is also required to be considered from another angle. 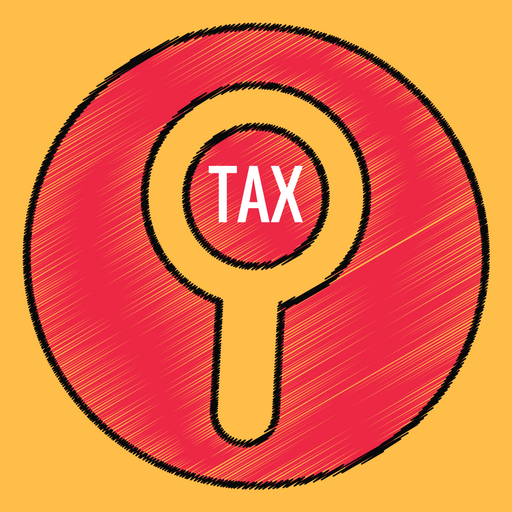 Even section 275(1)(a) of the Income-tax Act provides that in a case where the relevant assessment order or the other order is the subject-matter of an appeal to the Commissioner (Appeals) under section 246 or under section 246A or an appeal to the Appellate Tribunal under section 253 of the Income-tax Act, no order of imposing penalty can be passed after the expiry of the financial year in which the proceeding, in course of which action for imposition of penalty has been initiated, are completed, or six months from the end of the month in which the order of the Commissioner (Appeals), or, as the case may be, the Appellate Tribunal is received by the Chief Commissioner or the Commissioner, whichever period expires later. Meaning thereby, after the order passed by the appellate Tribunal, there will be a further period of six months available for imposing the penalty from the end of the month in which the order of the Appellate Tribunal is received. Meaning thereby, it can be said that even the Legislature has also visualized such a situation of preferring an appeal and the direct effect of the appellate proceeding vis-a-vis penalty proceedings. 5.4 In the present case, as stated hereinabove, and with a view to avoid multiplicity of proceedings and harassment to the assessee and considering section 275(1)(a) of the Income-tax Act, when the Commissioner of Income-tax (Appeals) will get further six months time to dispose of the penalty proceedings from the end of the month in which the order of Tribunal is received by the Commissioner/Chief Commissioner, when the Tribunal has stayed the penalty proceedings during the pendency of the appeal before it, it cannot be said that the Tribunal has exceeded in its jurisdiction and/or the said order is illegal and/or perverse which calls for interference of this court in exercise of powers under articles 226/227 of the Constitution of India. 6. In view of the above and for the reasons stated above, it is held that the Income-tax Appellate Tribunal in exercise of the powers under section 254 of the Income-tax Act would have jurisdiction and/or power of doing all such acts, or employing such means, as are essentially necessary to its execution and that the statutory power carries with it the duty in proper cases to make such orders for staying proceedings (inclusive of penalty proceedings) as will prevent the appeal if successful from being rendered nugatory and the Appellate Tribunal has the power to grant stay as incidental or ancillary to its appellate jurisdiction. However, while exercising such power of stay, the Tribunal has to be satisfied that there is a strong prima facie case made out and the Tribunal is satisfied that the entire purpose of appeal would be frustrated or rendered nugatory by allowing the recovery proceedings/penalty proceedings to continue, during pendency of the appeal. It is also observed that in a case where the Appellate Tribunal grants the stay either of recovery and/or stay of penalty proceedings, the Appellate Tribunal shall see to it that the appeal before it is decided and disposed of finally at the earliest and preferably within a period of three months so that the appellant-assessee may not take undue advantage by delaying the appeal proceedings. 6.1 In view of the above and for the reasons stated above, the present special civil application fails and the same deserves to be dismissed and is, accordingly, dismissed. In the facts and circumstances of the case, the Income-tax Appellate Tribunal is hereby directed to finally decide and dispose of the main appeal at the earliest but not later than three months from the date of receipt of the writ of the present order or on production of certified copy of the present order. All concerned are directed to cooperate with the learned Tribunal in early disposal of the main appeal and within stipulated time stated hereinabove. With this, rule is discharged. No costs. This entry was posted in Sec. 271(1)(c ), Section 254 and tagged 358 ITR, Gujarat High Court, In favour of Assessee, Prima facie adjustment.